I did the square foot gardening thing too, for my mom. I just build the boxes and fill 'em up. My mom has the green thumb, not me. This is the first time we're trying the boxes. I've built her 4 so far. More next year I suppose. I did get better with each one. My mom planted a ton of veggies, herbs and some flowers too. We're also trying to grow strawberries, blueberries, raspberries and sweet corn. This pic if from when we first planted stuff. I should take another pic now. IAPonygirl, very nice!!! Your mom is lucky to have you to help her! More pics! I just had to replant some of the green beans so according to ED you're okay! Enjoying the veggies-of-our-labor with wonderful yellow squash, cabbage, cuc's, peppers and zucchini. It's been so fun to make a batch of spaghetti and then go out to your own garden and pick bell peppers for the sauce. I recently made homemade coleslaw with cabbage and my husband never eats it but liked it this time around. My tomato bushes are packed and just need to ripen. At each green post we planted a sunflower seed so the stalks are really taking off. Jealous, I have no peppers or cukes yet, just flowers. 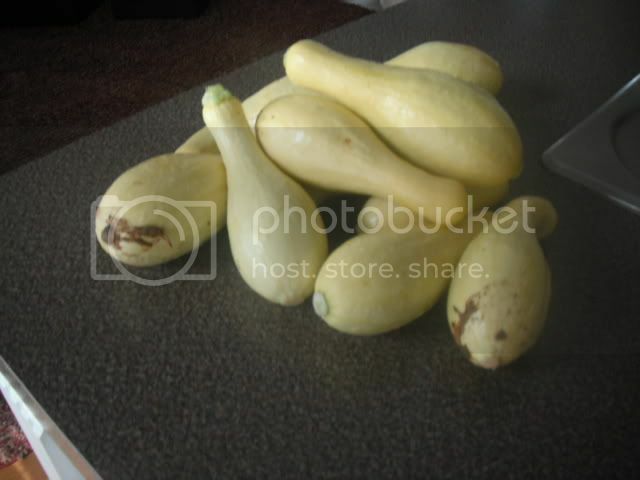 Many of my squash are aborting, too. When did you plant out? Mostly I am waiting for the TOMATOES.....I won't have any ripe ones until July at the rate things are going. Some green fruit but nowhere near full size or blushing yet. I just can't wait! You're doing really well with your garden, good for you! question - have any of you seen the little menacing gray looking bugs - almost like large aphids - on the underside of your zuchini ? My plant went from 4 ft tall and 5 feet across to needing 8 leaves removed because of little copper-colored eggs (maybe 25 in a cluster on each leaf) with one leaf with this little demons on it. darn. I gave the last big zuchini to my neighbor and now I'm bummed that the plant might not make it because of these creeps. Any non-chemical advice ?? I have read that ladybugs do the trick in removing aphids. I know you can purchase them on Amazon. Good luck. My potted garden looks nothing like the ones upthread. Congrats to all the farmers/gardeners out there. I am working on banana peppers, bell peppers, and a multitude of herbs (cilantro, parsley, oregano, etc). I've been coupling that to mostly local produce and my family has never eaten better! I'm so jealous of all the fresh veggies you all are getting! 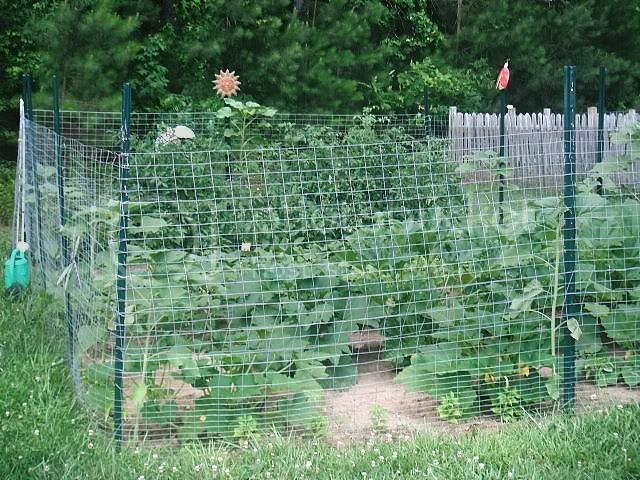 We used to have a pretty large veggie garden in NY but we can't have one here. We don't have any area of our property that gets enough sun to grow anything other than shade plants. I'm tempted to cut down about 6 trees in my yard to give me a nice, sunny corner but the cost and hassel with the HOA keeps me from doing it. 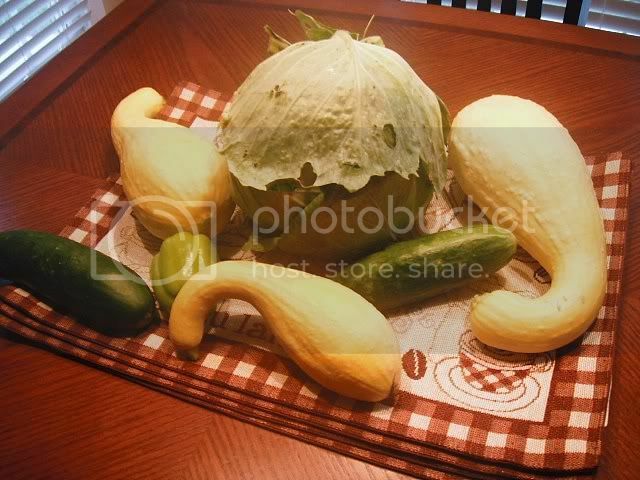 Those are called squash bugs. They have been a menace since I started gardening. Get contol of them quickly because they reproduce like crazy. Next year will be far worse than this year of you don't burn all the infected plants with the eggs all over them. Hand pick whatever you can and drop them and their eggs into a cup of soapy water. Insecticidal soap may help as well as garlic spray (7 cloves of garlic, 1TBSP cayenne pepper powder. place in container and pour hot but not boiling water over the garlic/pepper. Let steep a couple days. Strain and store in a spray bottle). Some plants, like butternut, are resistant. One year, everything else was eaten alive by the squash bugs and our butternut was gorgeous. This year, I've seen no squash bugs but the deer (or bunnies) are eating my butternut. I've had a horrible time with blossom-end rot this year. Too much rain, I guess? an even easier approach to aphids - believe it or not - is planting banana skins (this works around rose plants- they offer no protection against Japanese beetles or deer though!) Aphids apparently can't stand the taste the banana gives off. It is squash bugs. I looked them up online before coming back to the thread. UGH they are awful! 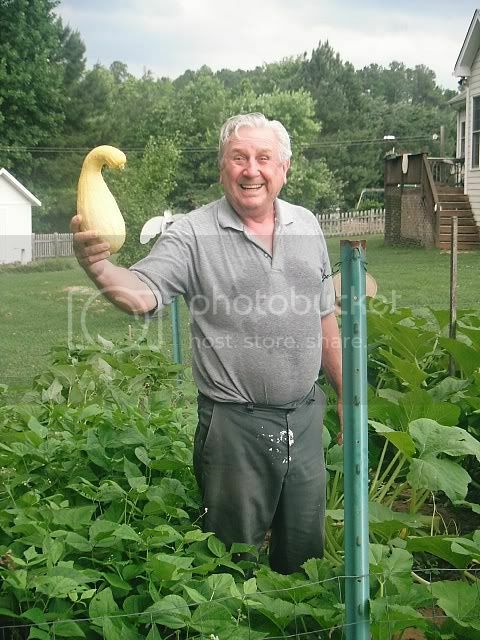 I too have a multitude of butternut (all volunteers) that are not being effected by the little demons. Will my zuchini survive I wonder ?? I put the leaves into my very hot compost pile - I hope that burns them all. My fennel looks awesome, and I picked my first tomato today - an heirloom beauty! and I have one lone watermelon trying to eek out an existence!